On January 30, 1948, Mohandas Gandhi, the world's most revered champion of nonviolent civil disobedience, was murdered in cold blood by a man he'd never met. Gandhi was legendary—in his native India and around the globe—as the Mahatma, a "great soul." So why did Nathuram Godse, an ardent Hindu nationalist, murder him? 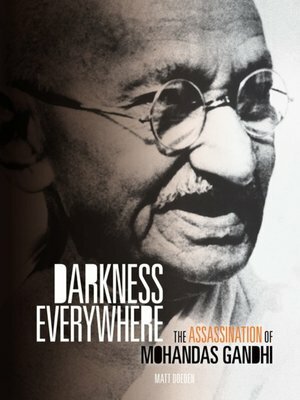 Darkness Everywhere traces the remarkable journey of one of the twentieth century's most unconventional warriors—and his assassins—to their fateful encounter in Delhi. This is a story of Gandhi's great achievements, the enemies who brought him down, and the legacy that continues to inspire the fight for freedom and justice around the world.